Our Sunday services, like our Unitarian Universalist tradition, draw upon a wide variety of resources for spiritual content. There are readings from Humanist, Christian, Jewish, Buddhist, Muslim, and Native American traditions (among others). There is generally a sermon, and we sing together. There is silent time for centering or prayer. Among our worship rituals is the lighting of candles for the major joys and sorrows in our lives. Like all UU congregations, we have no specific creed or dogma. In their place, we recite our own Affirmation. It reminds us of what we value and what we promise to ourselves and to each other. Our services start at 10:30 am and usually last a little more than an hour. Whatever they feel comfortable in. You will see everything from shorts and jeans to peoples’ “Sunday best.” You are welcome no matter what you’re wearing! ​Coffee, tea, and good conversation are provided to all after the service. Children begin each week with us in worship. We regularly offer multigenerational worship in which we stay together in “the big room” for the entire worship hour. Many Sundays, our children will leave about 20 minutes into worship to go to their Religious Exploration activities. Children are always welcome to stay with you throughout the service, and to make use of our Children's Worship Activity Center (see below). Childcare for children from newborn until kindergarten is provided during the service and at other major Fellowship events in our nursery. You are also welcome to keep your child with you in the service; we recognize the noise of babies as sacred. 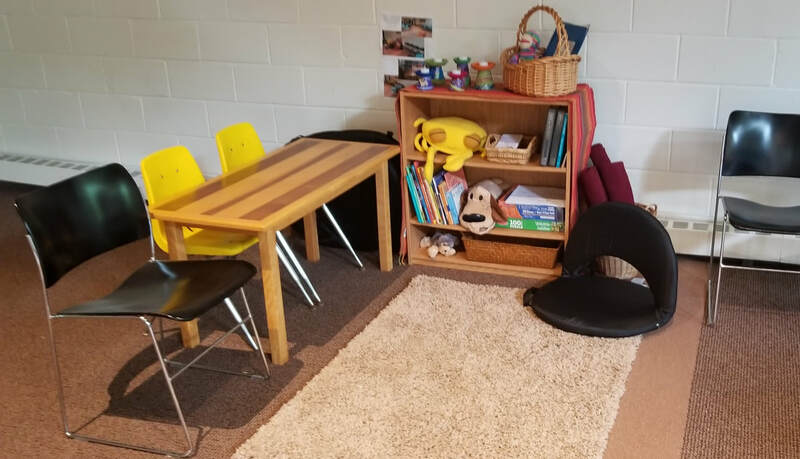 ​UUFNW's Children's Worship Activity Center offers a welcoming space where children can enjoy quiet activities while feeling part of the community and experiencing the rituals, words and music of our faith. It features materials for use during worship services, including books to borrow, coloring pages, crayons, and activity packets appropriate for readers and non-readers. You will find it in the Sanctuary.